Defence and security company Saab will be recruiting a Korean citizen for the Saab Graduate Leadership Program. 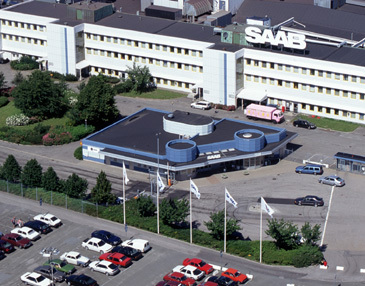 The selected candidate would eventually be employed in Saab International Technologies Korea. The recruit will be engaged in Graduate Marketing & Sales duties as an employee of Saab International Technologies Korea (SITK) and participate in the Saab Graduate Leadership Programme. The one year programme will commence on 1st of September 2016. Thereafter, the employee will work in the Marketing &Sales organisation in Seoul office. After a few years working with the Marketing &Sales organisation in Korea, there would be development opportunities both in Korea and other countries. Qualifications for the position include military service in Korean defence (not mandatory for female applicants and those exempted from military service), University studies and a Bachelor or Masters degree. Candidates who have worked for 1-2 years, studied abroad for at least one year or have engineering, business administration or science background would get preference. It is essential to have fluency in English and Korean should be the candidate’s first language. “South Korea is a very important for Saab and we are happy to be able to bring the Saab Graduate Leadership programme to the country.The programme is a great opportunity to build a career in marketing and sales with a global workforce and in a high technology global market place,” says Håkan Borin, Country Manager, Saab Korea. The selected applicant will have a permanent position from the commencement of the program. The positions will be announced on March 14th 2016 and the last day to apply is April 18th 2016.